Back to the Future Education was established in 1998 and is headed by teachers, husband and wife Anthony and Felicity Tannous, parents of four children and their team of dedicated staff of teachers, educators, programmers, software and IT experts plus administration staff who are all part of the Back to the Future family. Felicity, Anthony and the MathsPOWER Team are able to look at the needs of a student from the teaching perspective as well as a family perspective. They understand the difficulties confronting teachers in their efforts to assist every student in their care, as well as difficulties parents face in trying to complement and reinforce the efforts of their children’s teachers. Anyone who has heard or met Anthony can tell you about his passion for education. Anthony's areas of expertise are Education Department Results Analysis, Research, Student Motivation, Diagnostic Assessment, Parent Support and High School Mathematics. Felicity is Back to the Future's National Program Development Manager as well as our Head Primary School Teacher. Her love and passion for teaching children has inspired her research on the most effective forms of learning; She has the knack of being able to explain things to kids on their level and gets great satisfaction from the excellent results being achieved by thousands of students. She brings her fun, enthusiasm and years of experience into the program and students of all ages love her. She is respected by her peers in education circles as an expert in her field and has also appeared on 'A Current Affair' for the feature on the Maths POWER program and has been asked to write several articles for parenting magazines and websites. Surveys and assessments conducted by our company and other companies to which we had consulted over ten years showed that many, many students were vastly under-achieving academically. Many of these students were behind curriculum standard by up to four years. This was particularly noticeable in the areas of Mathematics, Literacy and English. The lack of understanding of these subjects adversely affected the understanding of many of the other subjects students were expected to cover. It was our experience as teachers in schools, private tutors as well as employees with other educational companies that prompted us to develop a programme that truly was in a position to ensure that a good education was not only a right but also affordable for any family wanting to help their children. It was a constant disappointment to us that the families with the greatest need were those least able to afford it. It was our desire to provide a programme that was comprehensive and affordable for any family wishing to help their children. The high quality of the systems we put together is such that thousands of teachers are now using the systems with their own children. We also made the programs the most affordable, company-supported programs in Australia because we had worked with other educational companies and found that not only did they NOT cover the syllabus but they were also out of the reach of most families. (Usually costing somewhere between $3500 - $8000 up-front, which the customer had to finance over three or more years at high interest rates!). Our programme is now the most cost effective programme in comparison to any other tuition options available. We know this because we have assessed every other option in the market place and wondered how anyone could make something as wonderful as a good education out of reach of the average person or indeed scrimp on the syllabus content covered. We have prepared a complete comparison that can be viewed by clicking here. In 1996 Felicity's brother-in-law and his friend (both High School Maths teachers) started development on a truly Australian High School Mathematics computer programme. In 1999 we began development of our Primary programs. 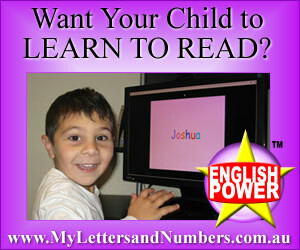 Maths POWER is now the only complete talking maths program covering from Pre-school to Year 12. The programme features animated, colourful graphics with step-by-step brilliant, engaging, clear audio instruction, exercises to assess a child's understanding of each lesson, topic tests and examinations. (Year 5 and up). The students also have phone access 4 nights per week to qualified, experienced teachers. With our HumanScreenTM lesson format, it has become Australia’s leading, favourite and most widely used computer teaching/tutoring program. It is also most widely used by home schooling families as their complete maths curriculum. We believe a good education is a right not a privilege and should be available to all students. Our primary school maths programme is structured into year-by-year components, so you only purchase what you need. Each year includes essential revision from the previous year as well as extension into the following year. Our high school maths programme is structured into 3 components (which may be purchased separately): Years 7 & 8 (200 lessons), Years 9 & 10 (200 lessons) and Year 11 and 12 (160-200 lessons depending on which course the child is attempting in Year 11 & 12). At $55 registration and $199 for one and a half year’s curriculum work for Infants/Primary or $399 for 200 lessons, two curriculum years worth of High school work, (this works out at less than $200 per curriculum year or $2 per lesson!) This includes 4 nights per week availability of phone access to qualified, experienced teachers, reports, two motivational gifts per program for Primary, access to Parent Advice Line /Student Info Line, and much more. This is, without doubt, the most affordable and most comprehensive help in mathematics you will find! More importantly, kids love it! The program's structure, scope and sequence, support, motivation, user-friendliness, featuring the bright, colourful, clear, bite-sized, easy-to understand, interesting, questioning and engaging lessons. The revision of some previous work in order to gain a full understanding of their current work (hence our name "Back to the Future"). The opportunity for the kids to gain complete tactile learning whilst demonstrating and consolidating their understanding through the varied work activities. 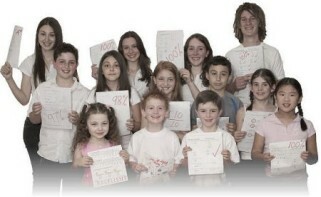 We recommend that kids do not move from lesson to lesson unless they have achieved 90% or better with their activities. That way the parents can be sure that the student has at least a 90% UNDERSTANDING OF EVERY TOPIC IN THE ENTIRE COURSE. When this occurs, the student’s confidence and maths ability is dramatically increased and their results at school will reflect the improvement. Let's face it, kids love using the computer - so they really enjoy using our programme, as they need only work on the programme for 25 minutes, 3 times a week using a medium they all enjoy! For students who have used our programme for around six months to improve by 30% - 40% with their exams is the average result we see. This is phenomenal! It has helped all types and ages of kids time and time again. 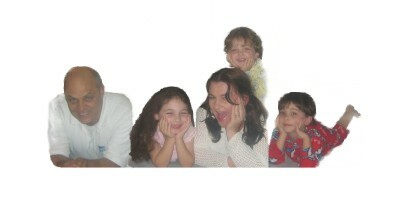 We seem to have found the magic formula to learning maths, so we offer all families a lifetime money back guarantee. The difference between Back to the Future Education - Maths POWER and most other maths companies out there is that other maths software/learning programs contain minimal (or at least far less than comprehensive) syllabus coverage. Some mathematics and education software companies in Australia and New Zealand (regardless of how official they make their company name sound) generally have staff who are sales people and have the old encyclopedia in-home sales tactics to rely on. In general, they have a sales background and have purchased an imported maths program to sell and are after a quick 'buck'. Whereas we are a company of teachers, parents and educators and our backgrounds are in those areas. Our dream is to see every child reach their full potential so we refuse to compromise on the quality and effectiveness of our programs, which has helped to make Maths POWER Australia's Leading Maths Program.